We are off for a long weekend to rome in a week or so and I’m loooking for any recommendations for a good restaurant with a quality wine list. My fiancee is coeliac so must have a gluten free experience. Very hard unfortunately, as caccio e peppe is the one dish you must try, when in Rome. I didn’t find any that were above the level of a high street Italian in the UK**. What I was surprised is that virtually every restaurant was Italian cuisine; imagine their surprise when they come to London and find every cuisine under the sun represented in restaurants except for British which are few. ** I can imagine there might be outrage at this comment*** with people listing top places with multi-Michelin stars. I was on business and at work all long day so I went to places near my hotel to eat. Went to this place a couple of times a few years ago. An enoteca not a restaurant but the food was pretty good and the wine list extensive. Enoteca Cavour 313: l'enoteca nel cuore di Roma. A due passi da via dei Fori Imperiali e vicino alla fermata Metro B Cavour, un locale dedicato al buon vino e allo stare insieme: l'enoteca Cavour 313. I have to agree broadly with @peterm. I haven’t been recently but used to go to Rome a lot on business. Most of the restaurants serve very decent and very similar menus of tasty Italian food. This could be difficult for a gluten free diet. I never had time or opportunity (or the expenses allowance) to look for very upscale restaurants, but I never had a bad meal either. If you’re staying in a hotel I suggest you ask them about local restaurants; they will probably give you some good suggestions. Many thanks for this. It’s really helpful. We caught a programme called Rome Unpacked yesterday evening. The second of two such programmes involving an art critic and a chef. 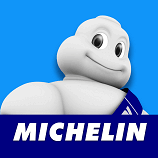 They visited a Michelin started chef. Cannot recall the name but may e you. Outdoor check on iPlayer. A chef did amazing things with beans! 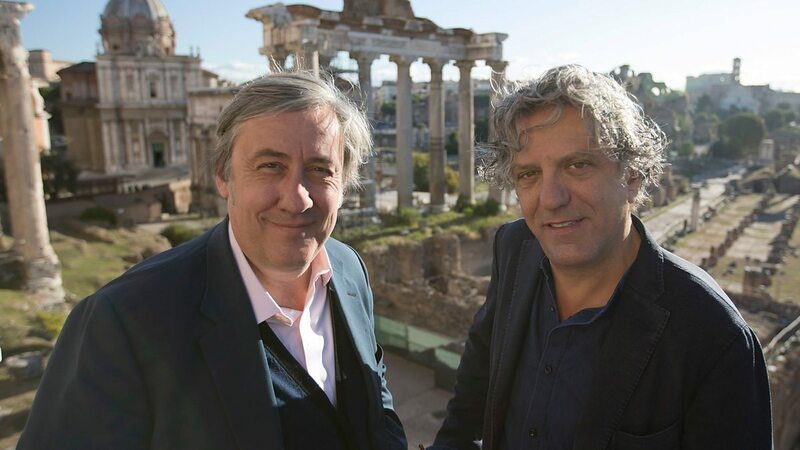 Andrew Graham-Dixon and Giorgio Locatelli search for the best food and art they can find. Here you are…it was a good watch when I saw it a while back. Oh yes! The Giorgio Locatelli and Andrew Graham Dixon (my art history hero, despite being somewhat pompous) show. They did a couple more series on different regions of Italy. Great marrying of food and culture. I once spotted Graham-Dixon shopping in Aldi in Lewes. Thank you. I’ll take a look at this soon. Like all major cities you have to do a bit of research for the better restaurants as so much is tourist orientated, my Rome visits have been pretty average re food but the Mercato Testaccio is a great place to buy food and has very good take away places and I can recommend Cesare al Casaletto in Via Casaletto for authentic Roman cuisine at sensible prices. Pity. You obviously missed out entirely on good Roman cooking, one of Italy’s most distinctive. Maybe try a little harder next time - it’s worth it! But yes, avoid the tourist areas, though you can still find the odd gem in Trastevere and probably even in the centre. The great thing about much of Italy - certainly Rome - is that restaurants don’t tend to charge the earth for wine. The markup is modest, and often means you can be paying the same (or less!) for a top-notch Flaccinello with your meal as buying it off-the-shelf in London. An excellent justification for really trying some of Italy’s best wines while you are there! Roscioli is our fave,always try and get a couple of meals in. High class deli serving simple but top-notch fare with a wine list to die for. Book a table upstairs (ground floor) for best atmos. La Pergola - https://romecavalieri.com/la-pergola/ winning no prizes for ‘cheap’, it’s a 3*, with cost and experience to match. Wine still better priced than in the UK though, I’d say (Italian, anyway). Babette, on Via Marguta - I’m quite fond of this place. The food is what it is - well-done home cooking, but no awards to be won - but crucially a seriously good wine can be yours at a sensible price; worth a visit. Ristorante Ad Hoc, on Via Ripetta - good food, good wine, nothing not to like. Extensive wine selection; not as keenly priced as Babette, but wider selection, still decently priced, and the food & wine together are a different story here. I think I recall Il Gabriello (Via Vittoria) being decent enough, but it is harder to tell from online photos if it’s the right place than I thought it would be! You’ll find good wine bars around too, terrific selections by-the-glass, tempting bottles to bring home, good small plates to nibble - nice way to have a gentle lunch or starter before dinner. There are many more great restaurants that I can’t remember the name of, and many, many more I’ve never visited - have a great trip, and do report back!